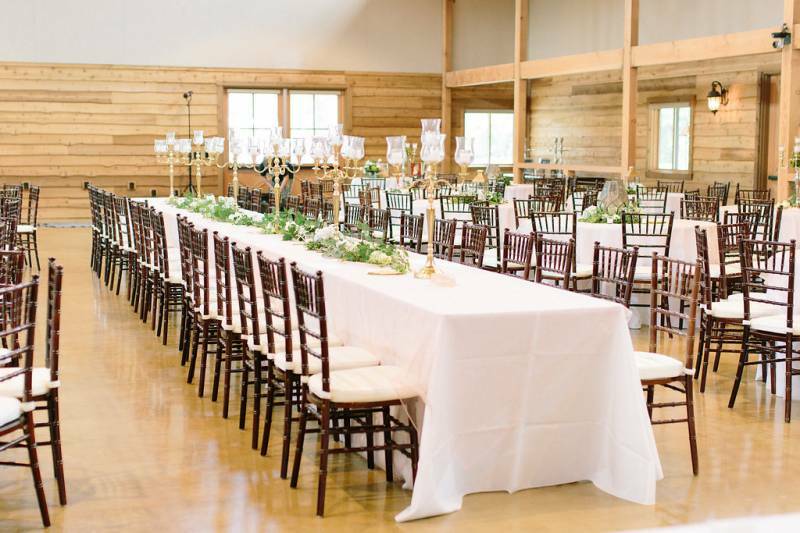 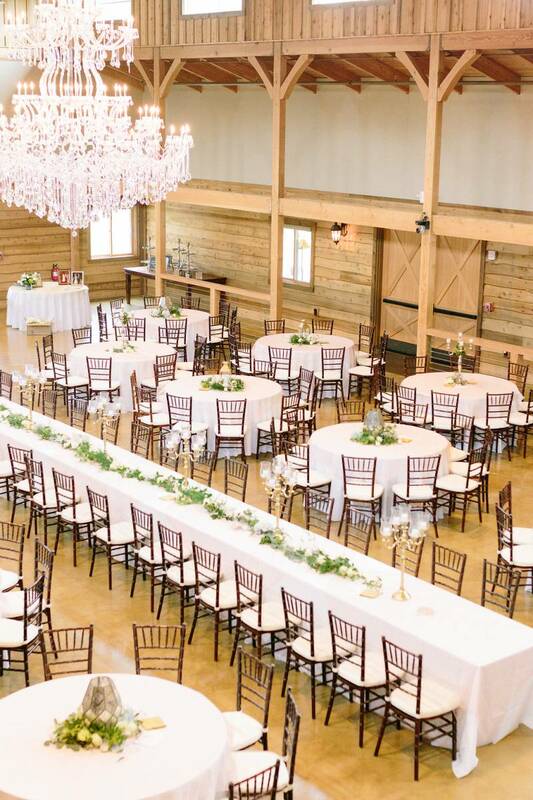 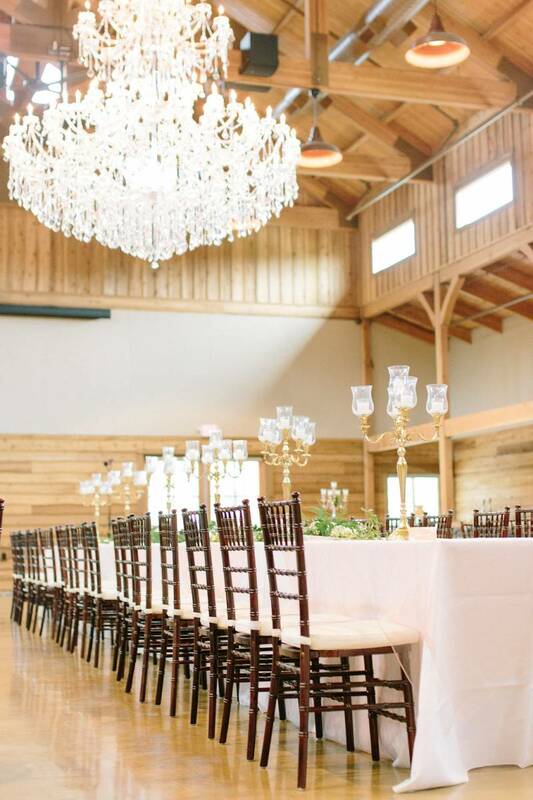 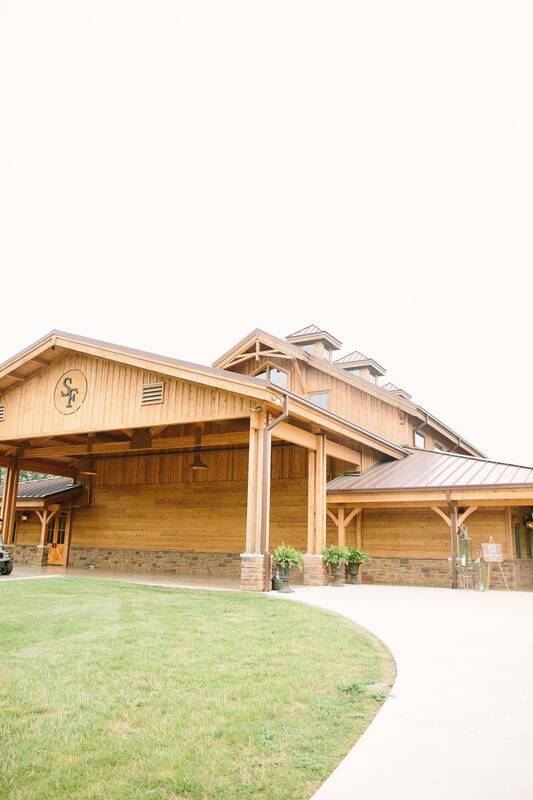 Tennessee barn weddings are undeniable! 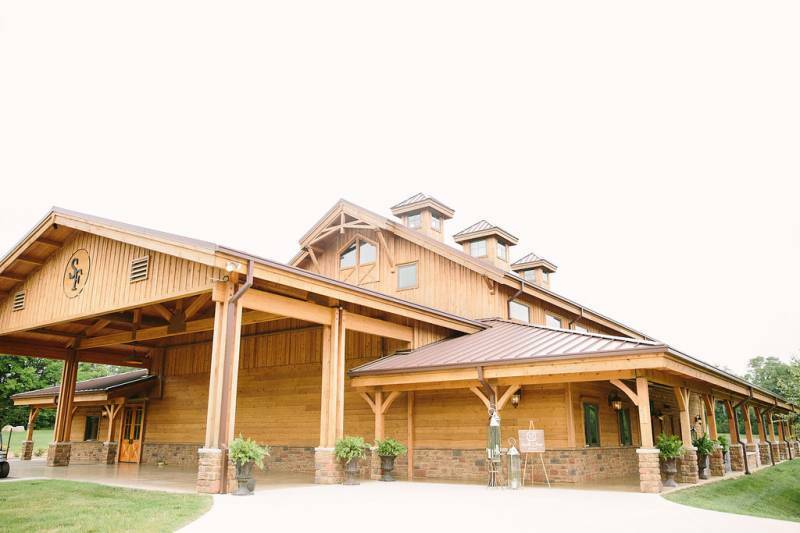 It's something so telling of our location that couples from all over the world come here to get married at a barn. 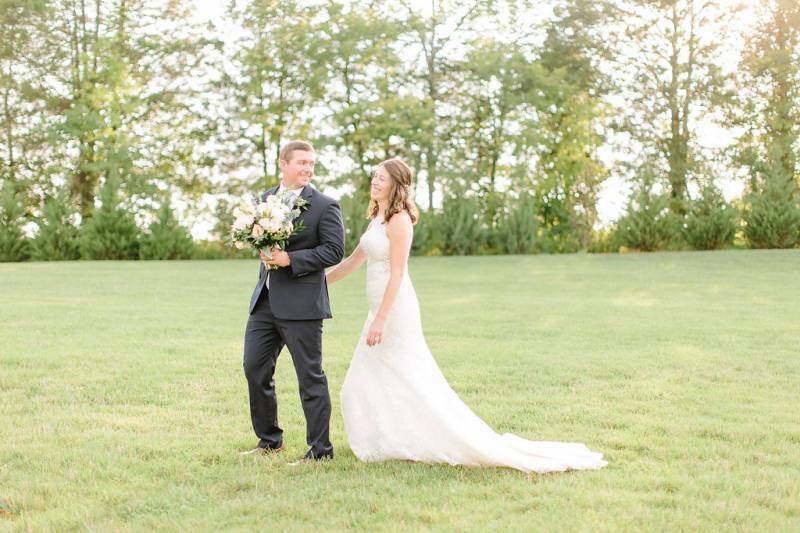 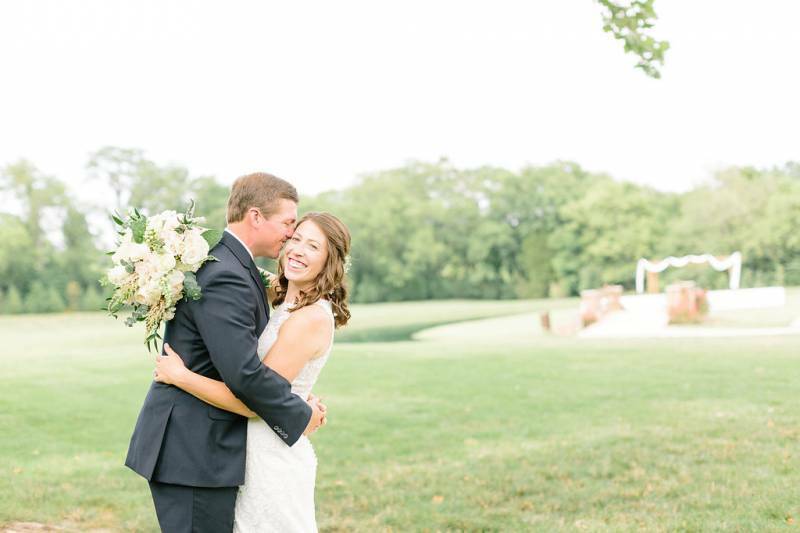 And Meredith + Thomas traveled in from Huntsville, AL to say their I do's at The Barn at Sycamore Farms. 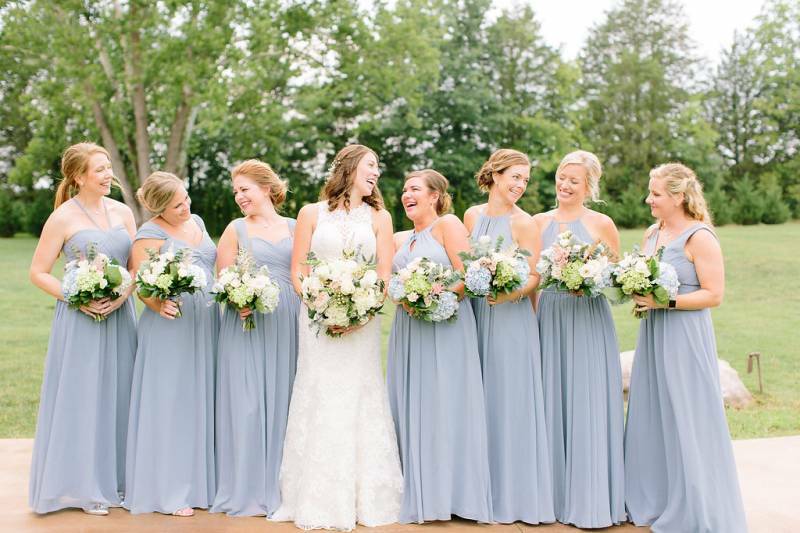 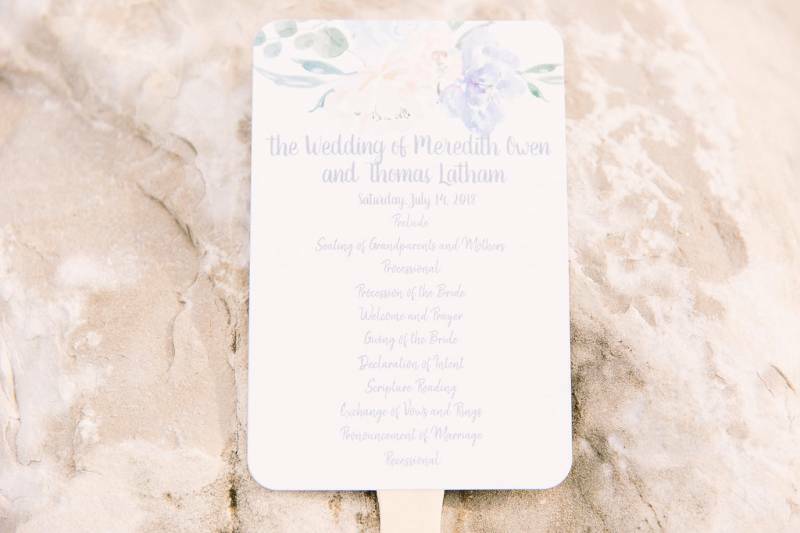 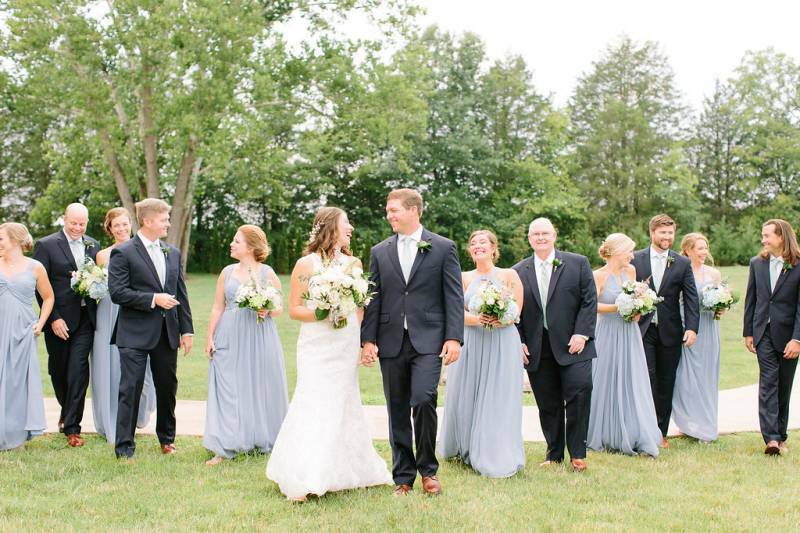 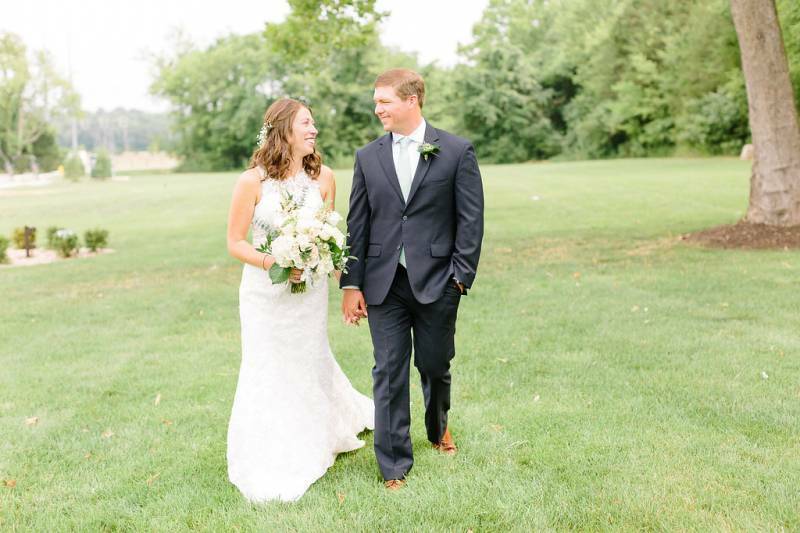 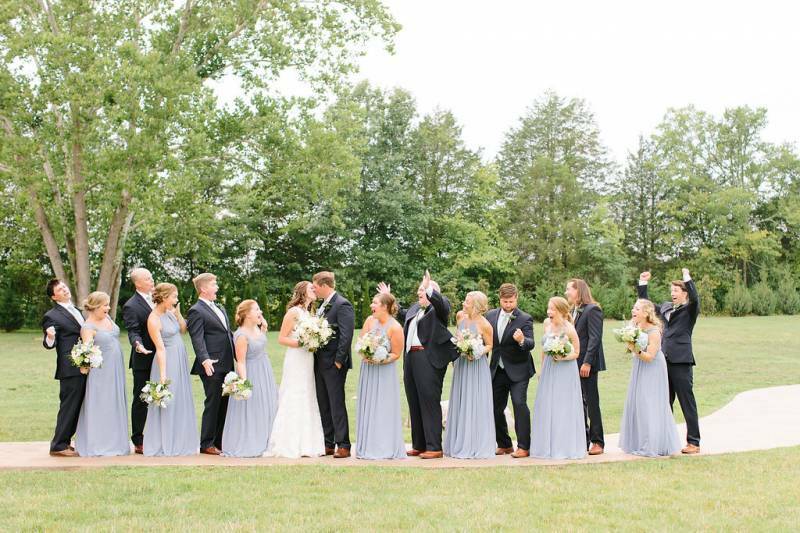 Their hot July day called for a sweet summer ceremony on the property's island and a climate-controlled wedding reception in the large upscale barn venue. 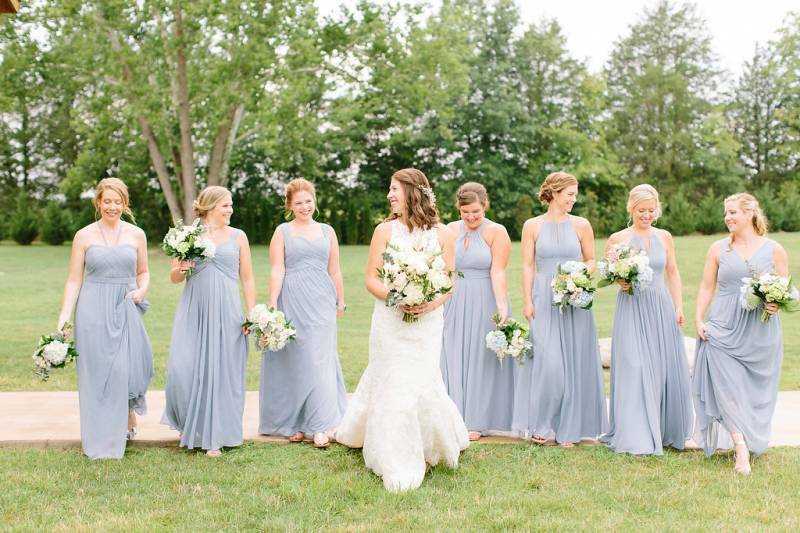 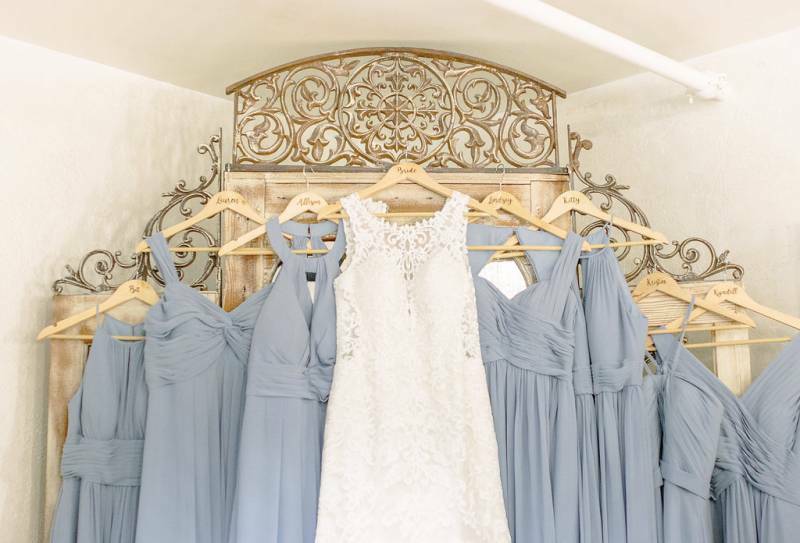 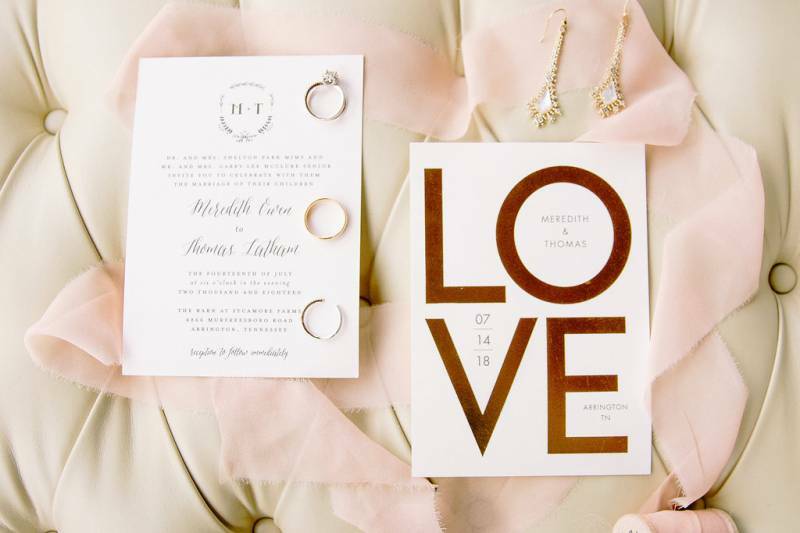 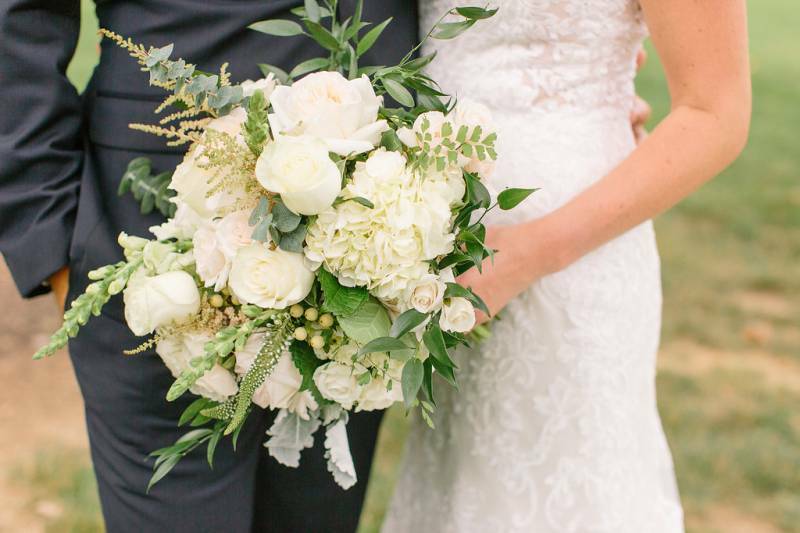 Their classic meets romantic vibe allowed their photographer Jannah Alexander to capture some beautiful moments! 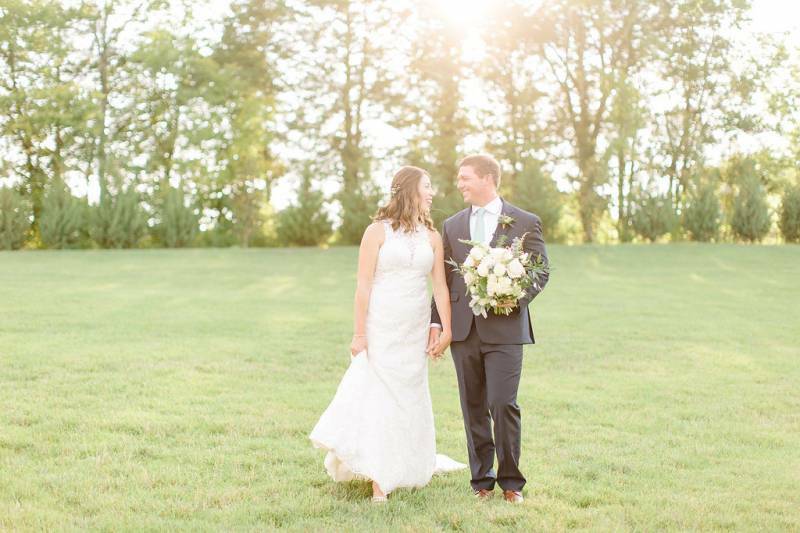 See our interview with Jannah below as well as some more barn wedding gorgeousness! 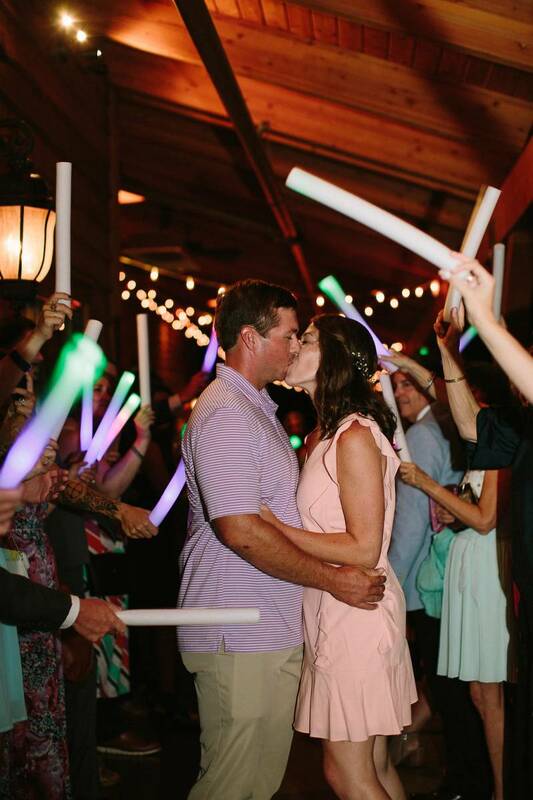 Tell us about the couple's vision. 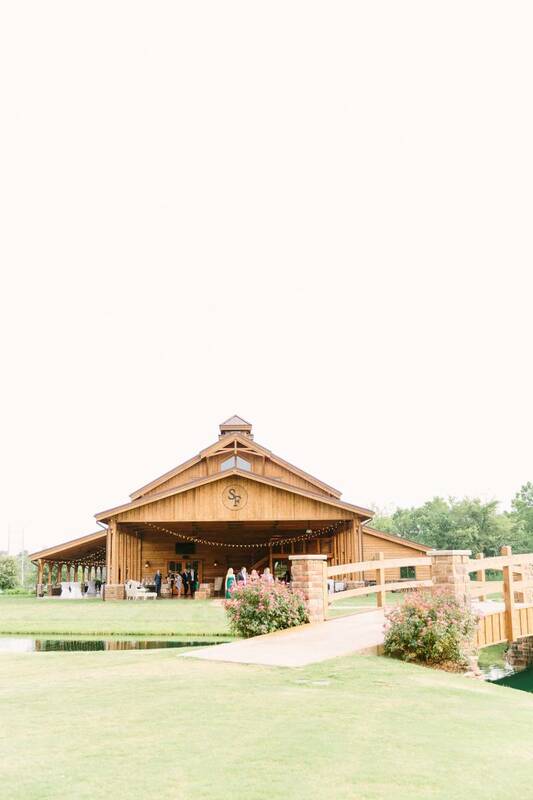 Jannah: Meredith & Thomas live in Alabama but had a vision of a Tennessee wedding day as they were drawn to the beautiful barn venues here. 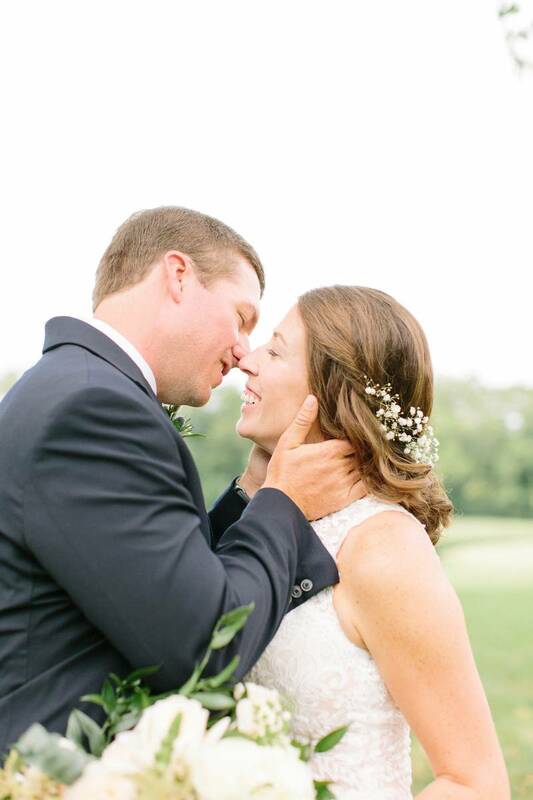 The Barn at Sycamore Farms was love at first sight for them! 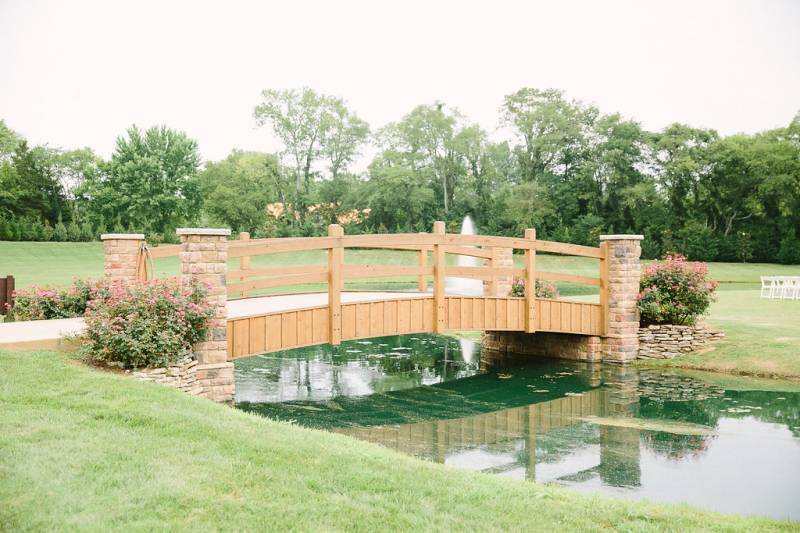 They were so excited during our engagement session to have their wedding located at a place so beautiful! 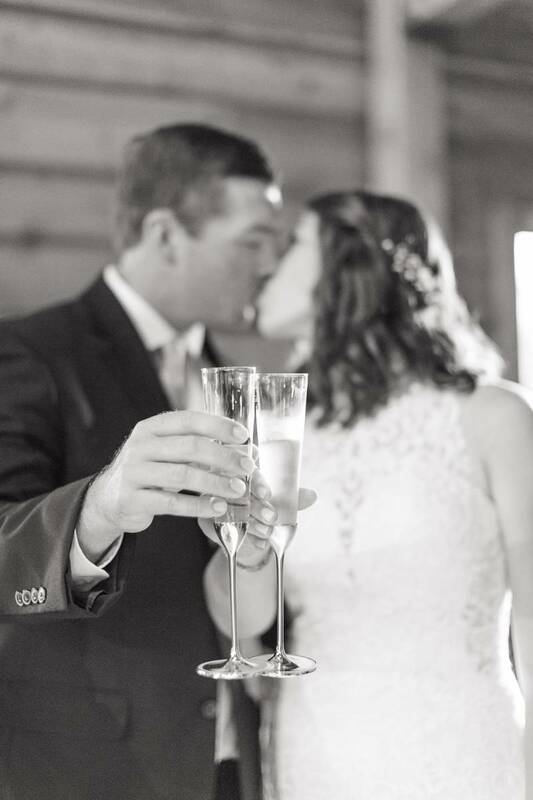 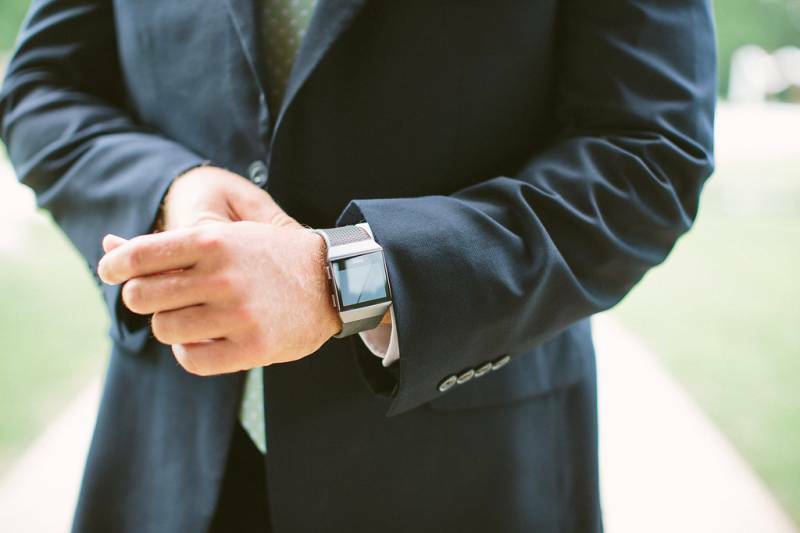 Can you share any special moments or highlights of their wedding day? 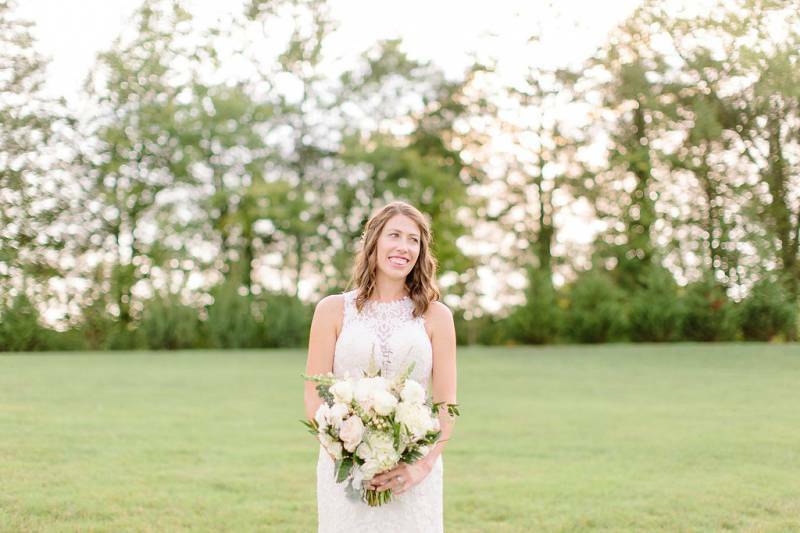 Jannah: Meredith looked absolutely radiant in her gown adorned with the necklace that her mother wore on her wedding day as well as her late grandmothers gorgeous ring. 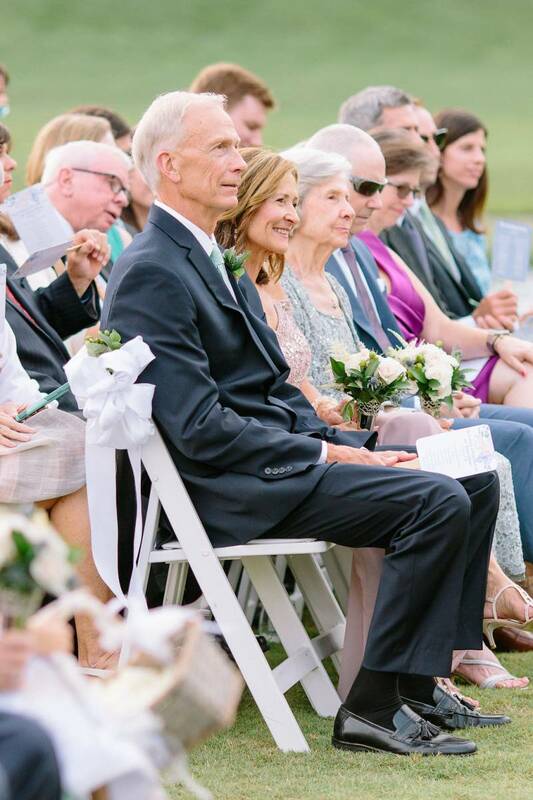 I know these two pieces of jewelry instilled the most beautiful glow in her and outside as well. 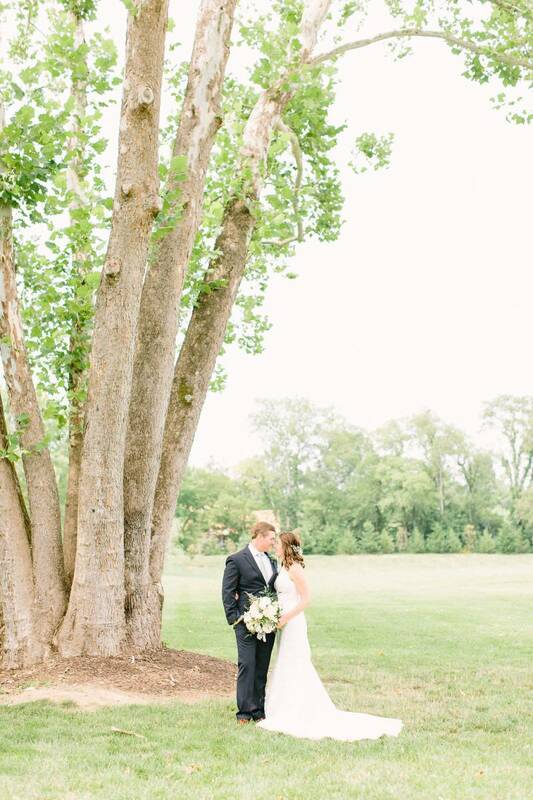 I especially loved that their first look took place underneath a hundred year old sycamore tree, the same one the venue is named for! 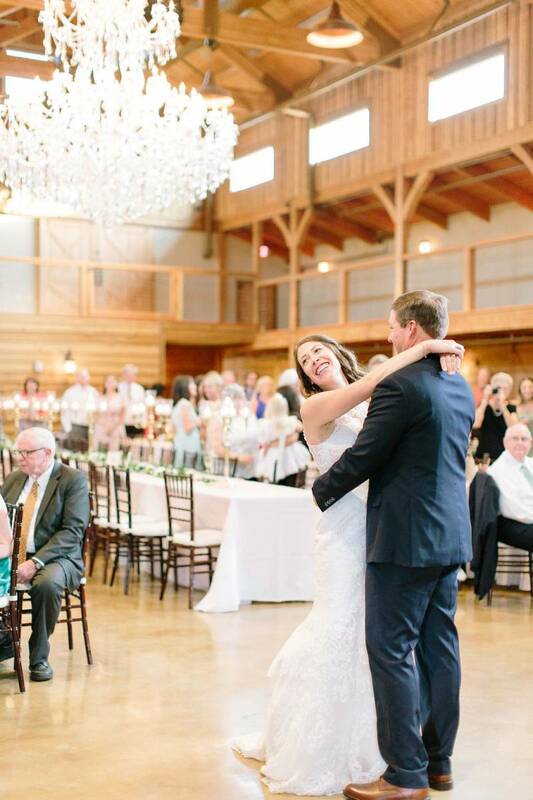 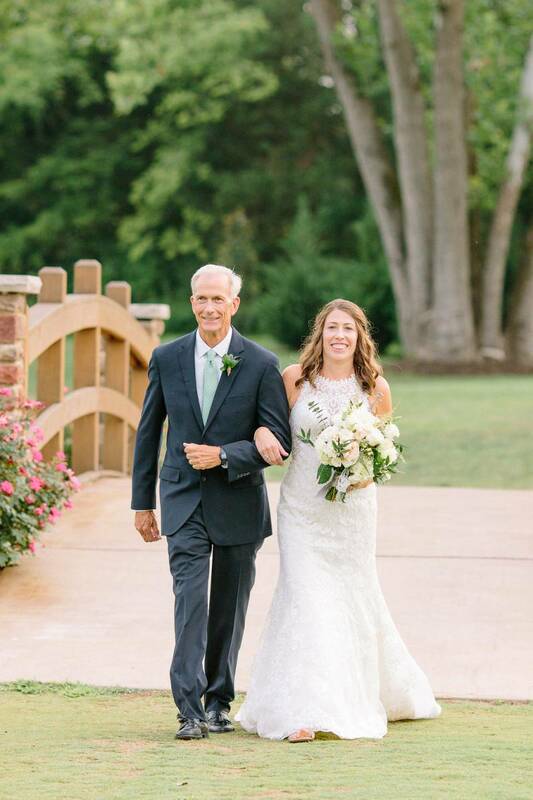 Meredith and her father also shared a special moment for their first dance! 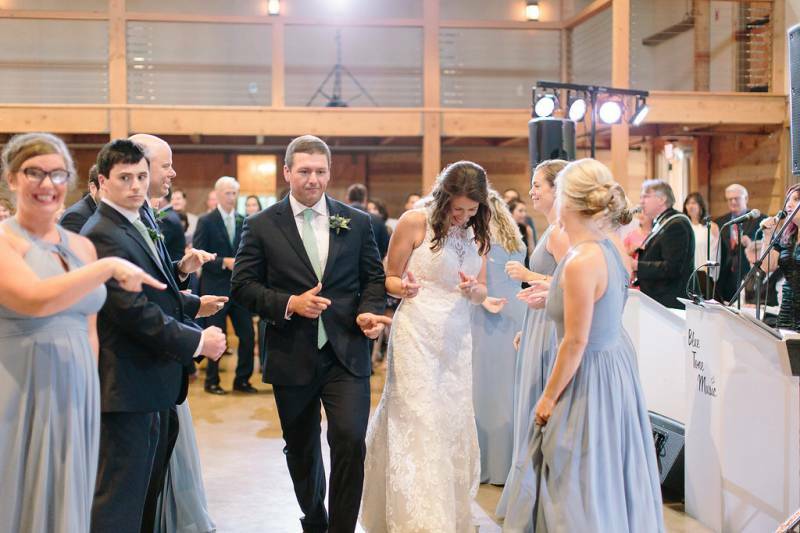 Rather than playing a slower tune, the two had so much fun dancing to upbeat music with one another. 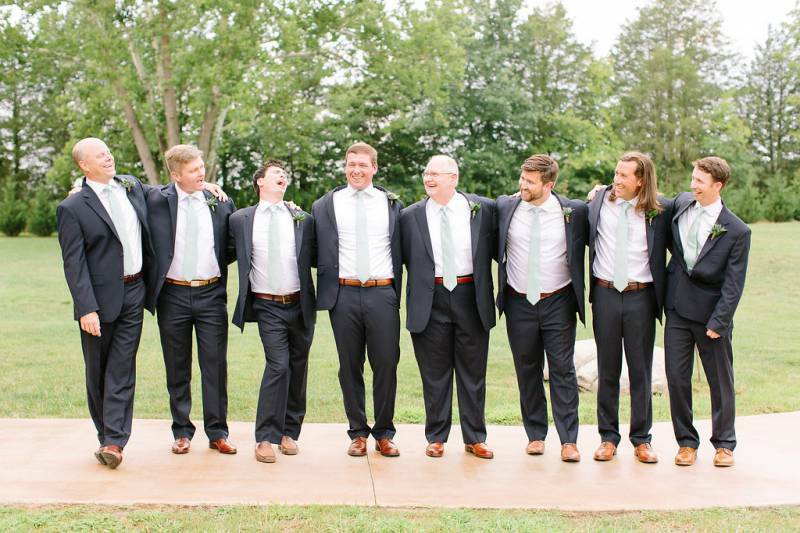 They were smiling and laughing the whole time! 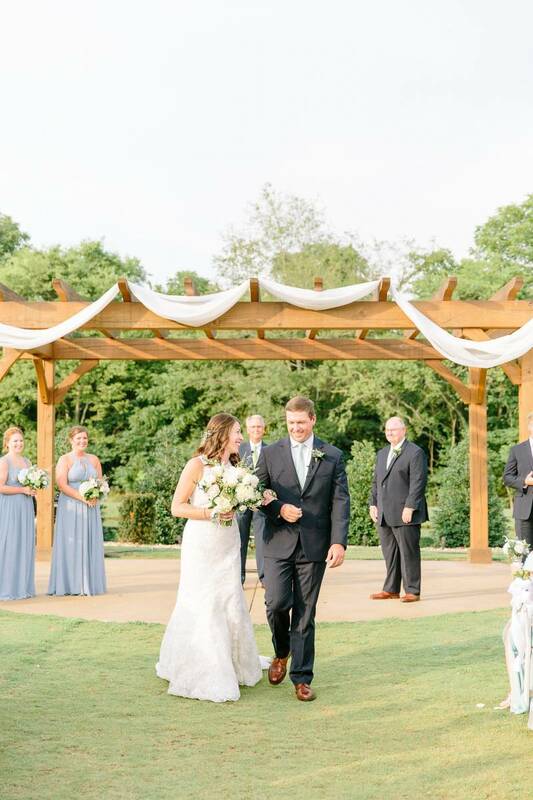 Did the couple have any special requests or unique challenges during the wedding? 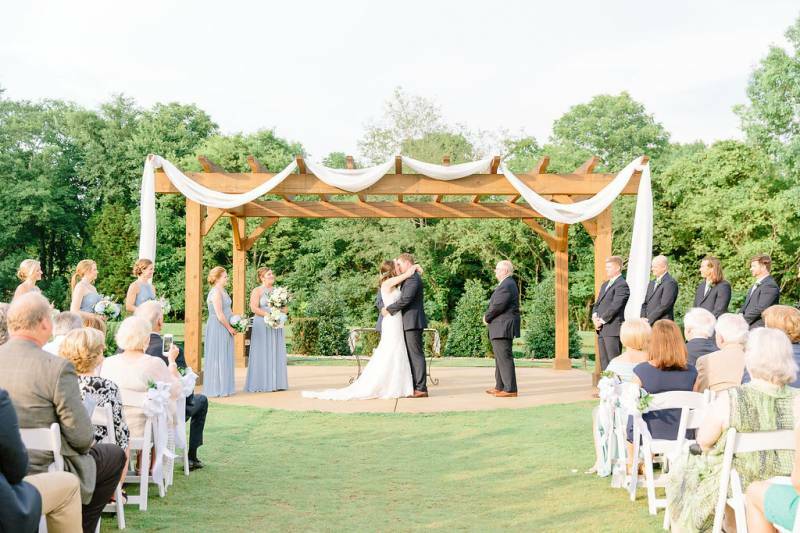 Jannah: Portions of this July wedding were HOT but these two trusted me completely and I am so happy they did. 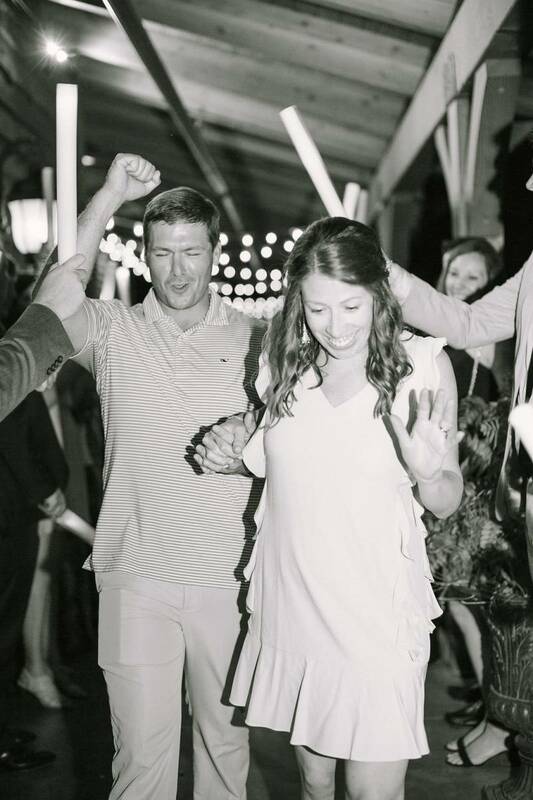 Not only were they the biggest sports (we drank LOTS of water by the way! 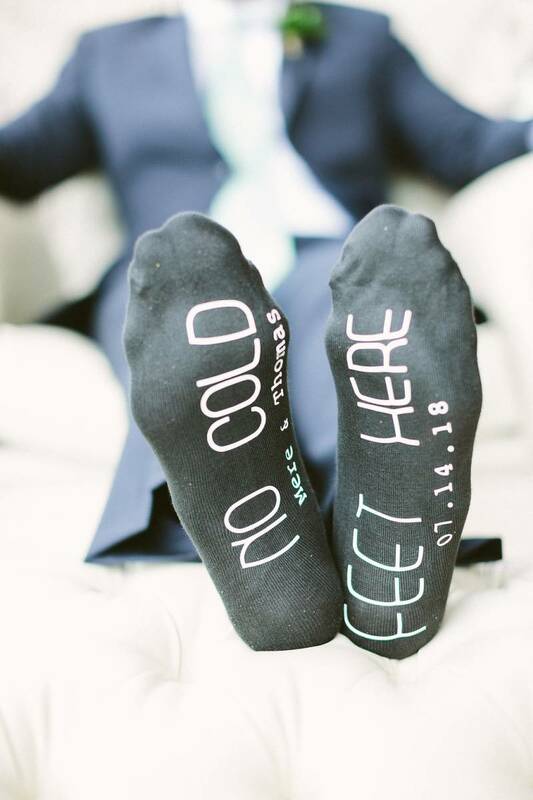 ), but the were so consumed with one another that I think they almost forgot they were melting at times! 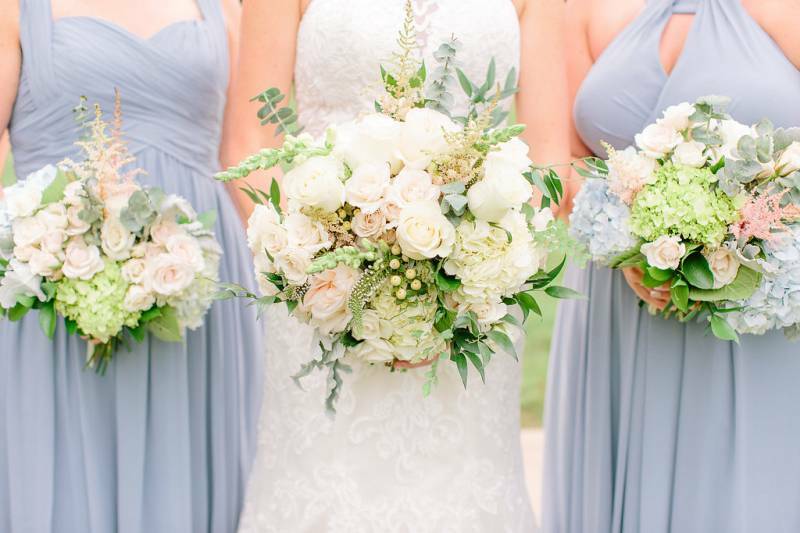 Jannah! 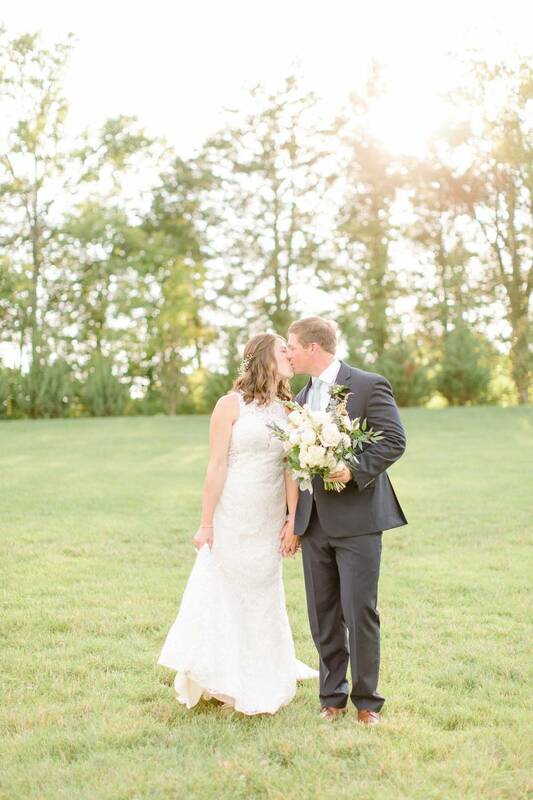 Thank you so much for sharing this beautiful Tennessee barn wedding with us today! 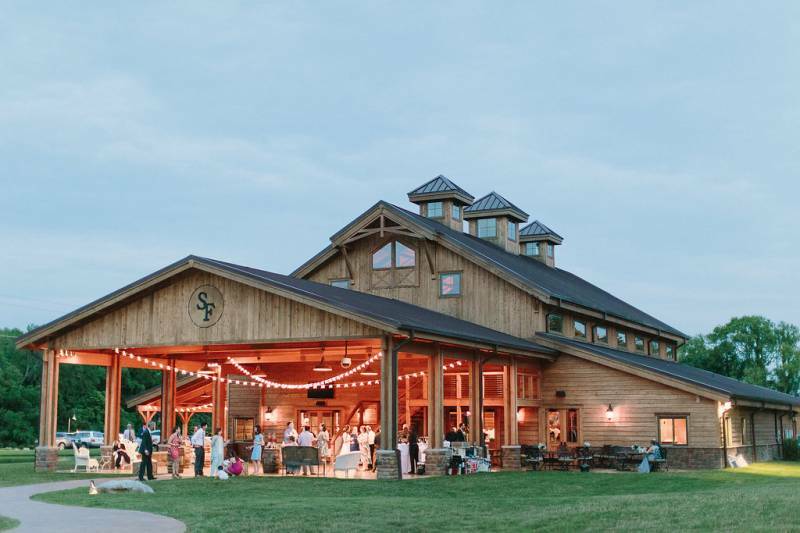 You can check out more on this gorgeous venue The Barn at Sycamore Farms and follow them over on Insta!